No es ningún secreto que millones de pueblos indígenas de todo el mundo han sido expulsados de sus tierras para dar lugar a las grandes extracciones de petróleo y minerales, las grandes explotaciones madereras y las grandes extensiones agroindustriales. Pero pocos se dan cuenta que algo similar ha estado ocurriendo por una causa mucho más noble: la conservación de tierras y de la vida silvestre. We hear often how hard it is to live in North America without a car, yet in Manhattan 75% of households get along without one. Then we hear that in the suburbs its different- that is why in the USA nationwide, only 8% of households don't own a car. But what if you designed a community around the principle that one doesn't need a car? That really was green from the ground up? What would it look like? Vauban, near the German city of Freiburg, may be the best demonstration yet. To start with, you would build right on a tramway that connects you to the city and give away free passes, along with good bike routes. Then charge for parking spaces like they do in condos everywhere rather than give them away like they do in conventional suburban housing. Put the parking spaces in garages on the periphery and do not allow parking at the units. Establish a good car-sharing program. Keep the cars on the periphery, so that streets become playgrounds and spaces for public interaction. Include a school, kindergardens, a farmer's market, businesses, a shopping centre, a food coop, recreation areas, and approximately 600 jobs will all be within walking and cycling distance. Organize building ownership through the co-op model ( called SUSI) where one provides a deposit, a "muscle mortgage" plus some subsidy. Co-op models "are the fertile ground for a stable district's community and rise of ecological awareness." Include dorms for students and a private developers to get a social mix of all ages and incomes. Prohibit single family houses as inappropriate for a compact urban built form. Build housing units to the Low energy standard, Passiv Haus standard and even the Plus Energy standard where the house produces more energy than it needs. (different standards explained here) Cover the roofs with photovoltaics and green roofs. Use local wood. Build a co-generation plant for power and heat, burning wood chips. Las derechas económicas y políticas poseen una extraordinaria habilidad para organizar el caos y radicalizar la oposición a los gobiernos que considera enemigos o peligrosos para sus intereses y privilegios. Esos sectores, dignos de la antipatria que viven, están acostumbrados -desde la conquista, colonia y República-, a dominar a los pueblos, dividirlos y explotarlos ignominiosamente al interior, y a obedecer los dictados del imperio desde el exterior. Cuando no logran llevar a sus rediles a obedientes gobernantes, suelen tender trampas y tejer toda clase de amenazas, hasta derrocarlos, mediante golpes de Estado y con el uso de las Fuerzas Armadas, a las que han manipulado a su antojo. Esa derecha está feliz de creerse parte del Eje Bush-Uribe que, al reiniciar las fumigaciones con el venenoso ’glifosato mejorado y potenciado con otros químicos’, lograron provocar a Correa a fin de crear un conflicto internacional. La derecha integrada por el PRIAN, PSC e ’independientes’ inició una oposición violenta descrita por el vocero Torres, como una “guerra santa" (?) o “resistencia nacional”. De esos grupos y algunos medios de comunicación y “periodistas” surgen malignos rumores: sube el riesgo país, se perderán 500 mil puestos de trabajo si Correa no firma el TLC, el pueblo se hundirá en el caos y la miseria, se perderá las “valiosísimas” amistad y ayuda de Estados Unidos; el Ecuador seguirá los pasos de Venezuela o Bolivia, como si fueran un infierno o mal ejemplo. Anuncian una “pugna de poderes” y como la miseria moral de los diputaditos del sector no tiene límites, pero si tienen miedo al pueblo quiteño, anuncian que irán a sesionar en alguna ciudad o pueblito que no les eche a palos. La otra oposición está conformada por Sociedad Patriótica, PRE, los siempre “vivos” y oportunistas. Estos grupos ’apoyarán’ la Asamblea Constituyente , pero con condiciones. Querrán reformas a sus medidas y antojo. Se burlarán del pueblo. El Presidente Correa tendrá que sortear infinidad de trampas internas y externas; pero saldrá avante si gobierna con el pueblo y para el pueblo, termina con la noche neoliberal y rescata a este país de las mafias politiqueras, de las garras del imperio, y de la gula usurera del FMI-BM. Otro Ecuador es posible, así revienten las oligarquías. Periodista ecuatoriano, miembro del Consejo Editorial de Altercom, presidió de la Unión Nacional de Periodistas, profesor de la Universidad Central del Ecuador, autor de varios estudios publicados, fue director de la Revista Siempre, ahora integra el Tribunal Contra la Guerra y es columnista del Diario Nacional La Hora. When my grandfather entered M.I.T. in 1931, he was required to bring only one thing: a slide rule. Visiting him recently in New Jersey, we fixed his Internet, watched a DVD, and programmed his new cell phone. At age 93, it’s clear he has been witness to a revolution in technology unlike humanity has ever seen. Yet, despite (or is it because of?) our technological innovation, 15,000 children still die every day of preventable disease and illness and -- I probably don’t need to tell you this -- environmental destruction of the planet still threatens all of our lives. What the world needs now, as we tread further into the 21st century, is a real conversation about technology: its limits, its potential, and where we want it to take us. If looking back on human evolution teaches us anything about human nature, it is that we are constant innovators. As our tools have become more complex, so have our innovations. 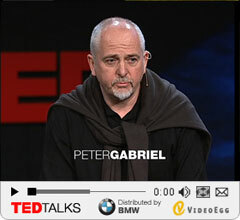 But we’ve evolved tools far faster than we have evolved an ethics of progress – a morality of technology. And, we’ve developed technology faster than we have developed the safeguards to protect our common assets – air, water, soil, and more – from their unintended consequences. We need to push ourselves and our leaders to ask not just what can we create, but with each new innovation to ponder: Is there a better alternative? What are the possible consequences? Who may benefit and who may suffer? Asking these questions, doesn’t mean becoming leery Luddites, and it certainly doesn’t mean we halt technological progress, it means being equipped actually to choose the best path of innovation. After all, every choice we make is a matter of focus: every choice takes us on one path, away from another. Think about the technology we’ve privileged in food and farming. We’ve placed a premium on a certain kind of agricultural innovation, that done in sterile labs with white-coated technicians. The result can be seen in the past century’s farm chemical revolution and our blanketing the planet with known carcinogens, endocrine-disrupters, and neurotoxins. We can also see it in this revolution’s modern-day redux, genetically modified foods. The consequence of developing an agricultural system based on chemical pesticides has unleashed pollution, sickness, even death, unaccounted for when first introduced. And we’re only beginning to comprehend the potential consequences of the introduction of genetically modified foods into our ecosystems. We’ve made these choices despite having the tools to grow food productively without taking on these unnecessary risks, to human, animal, and environmental health. So let us not ask simply what can we innovate, but what should create--to ensure the greatest health for all of us--and then develop the technology, broadly defined, to help us get there. Anna Lappé is a nationally bestselling author, public speaker, and founding principal with Frances Moore Lappé of the Small Planet Institute. She is the co-author of Hope’s Edge: The Next Diet for a Small Planet (Penguin 2002) and Grub: Ideas for an Urban, Organic Kitchen (Penguin 2006). She is currently a Food and Society Policy Fellow, a national program of the WK Kellogg Foundation. Washington, D.C.-If the world succeeds in avoiding ecological collapse, historians may one day look back on 2006 as the "tipping-point" moment. Around the globe, the past year has produced a remarkable series of indicators that human societies are waking up to the precarious state of our world. If current trends are not reversed-and soon-we will hand the next generation not only a natural resource base on the verge of collapse, but a global economy on the edge of failure. Even though 2006 was marked by its share of acute crises, led by the conflicts in Iraq and Darfur, the less acute but more profound crisis of global climate disruption reached the top rungs of public attention for the first time. Scientists warn we may soon cross a threshold of no return as dying forests and warming tundra release additional carbon dioxide into the atmosphere, enabling climate change to feed on itself. In fact, some believe it could already be too late. This urgency is being reflected in public opinion. In tallying the results of 2006 elections and opinion polls in several countries, the news service Reuters adapted an old James Carville phrase, "It's the environment, stupid." In Europe, which has long eclipsed the United States in such matters, even conservative parties have taken up the environmental banner. And in the pivotal U.S. mid-term elections, analysts were surprised to find that global warming played a role in many races, often at the expense of incumbents who had ignored the problem. As a result, climate policy will be high on the agendas of both Democratic and Republican legislators in 2007. The awakening of the United States from years of fitful hibernation is my nomination for the most momentous environmental development of the year. Without the leadership of the world's leading superpower-and biggest polluter-it is impossible to mobilize the global consensus needed to tackle this daunting problem, or to galvanize the second and third most important countries, China and India. The most intriguing part of the U.S. story involves my home state of California, which in September adopted landmark legislation to limit greenhouse gas emissions. Notably, venture capitalists and Silicon Valley entrepreneurs played a key role in pushing the new climate bill through. Today, renewable energy technologies like solar power and biofuels are growing at nearly 20 times the rate of fossil fuels, and major institutions and investors like Wal-Mart, DuPont, and Goldman Sachs are channeling billions of dollars in their direction. In the more than three decades that Worldwatch has tracked global environmental trends, there has never been a year like the one now coming to a close. We have entered a period of rapid, non-linear change, not only in our planet's ecosystems, but in the worlds of business and politics as well. The question now is whether humanity will continue to mobilize-before it's too late. 2007 will provide a test of whether this incredible new momentum can be maintained. About the Worldwatch Institute: The Worldwatch Institute is an independent research organization based in Washington, D.C. that works toward the evolution of an environmentally sustainable and socially just society in which the needs of all people are met without threatening the health of the natural environment or the well-being of future generations. For more information, visit www.worldwatch.org. Because of increased intensity of feedback loops from climate change, resource conflicts, and failed economic paradigms, we will see an exponential rise in every aspect of transformation detailed in WorldChanging. It will be a hold-onto-your-hat decade and beyond. Increases in innovation and possibilities (along with green- and poorwashing) will occur along with tragic damage to the earth and its carrying capacity, which in turn will further accelerate change and adaptation. From biological farming to corporate rights, from fisheries to localization, traditional institutions will be make about faces and embrace ideas that they scorned not long ago. This sounds like good news and it is. However, the only thing harder than failure is success. The rapid growth in interest and adoption of green practices worldwide will place great stress on organizations and people. Although it is a time to plan for success, not failure, this doesn’t mean becoming a charismatic organization or a media hero. And it does not mean we will succeed. It will be the stroke of midnight for the rest of our lives. Rapid growth in this movement requires cooperation, collaboration, and sublimation. It is too late for heroes. We need an accelerated intertwining of the over one million non-profits and 100 million people who daily work for the preservation and restoration of life on earth. TV, magazines, and Hollywood must join in but cannot set the tone for what is the most crucial period in the history of humanity. The movement is fundamentally a bottom up movement. It arose from people, communities, the oppressed, biologists, and activists. We are experiencing something greater than “greening.” A community created world is replacing a world fostered by wealth and privilege. That can only happen if we stay in community and embody kindness and inclusivity in everything we do. The language of sustainability is about ideas that never end: growth without inequality, wealth without plunder, work without exploitation, a future without fear. To honor all cultures, creatures, and children requires us to become far more than an environmental movement. A green movement fails unless there’s a black, brown, and copper colored movement, and that can only exist if the movement to change the world touches the needs and suffering of every single person on earth. 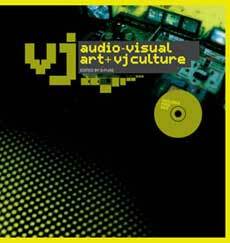 Audio-Visual Art and VJ Culture, edited by Michael Faulkner/ D-Fuse. 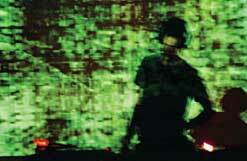 Editors' blurb: A major change has taken place at dance clubs worldwide: the advent of the VJ. Once the term referred to the video jockey who introduced music videos on MTV, but now it defines an artist who creates and mixes video, live and synced to music, in clubs or at concerts. This book is an in-depth look at the artists at the forefront of this amazing audio-visual experience..
Let's be honest: i bought this one because of the sleek cover. I'm not much of a clubber and i'm not a huge fan of screen-based art. Well, at least that's what i thought before i opened the book and started to recognise the name of artists whose work i've enjoyed over the years, at concerts or events such as Club Transmediale. The term VJ was used for the first time at the end of the '70s in the Peppermint Lounge. However, the chapter dedicated to the history of VJing spans a period much longer than one might expect, tracing back the influences on the discipline to Joseph Plateau (the inventor of the phenakistiscope) and talking about the key-role that silent movies has paradoxically played in helping VJing develop its language. 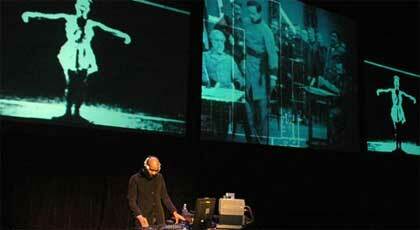 Silent film directors had to construct a narrative using mainly visual elements and the connection with VJing is further increased in the case of the screening of films accompanied by improvised music. 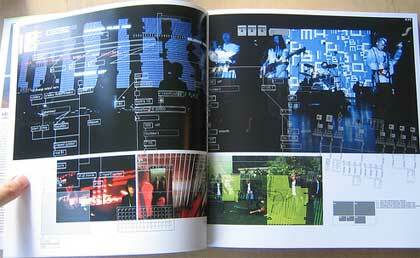 Apart from cinema and videos, VJs' work engages also with (graphic) design and interactive art. D-Fuse's Small Global is a multichannel video/motion gfx installation that uses animated images and vector maps of the planet to explore environmental and immigration issues. Small Global juxtaposes visualizations of pairs of data sets to highlight relationships that often go unnoticed by mass media. For example, the mining and price of coltan (the metal used in mobile phone chips) in Congo is mapped against the human death toll and expertmination of Congo's highland gorillas. 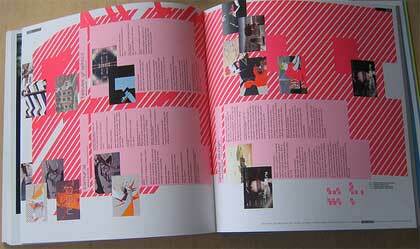 One of the biggest bonus of the book lies in the 150 interviews with artists at the forefront of the scene. Grouped by geographical region, each set of VJs' portraits opens with an intro to the VJing scene in that particular location. They talk about who's inspiring them (the usual suspects such as Bill Viola and the graffit culture but also Picasso, Burrough, the qatsi trilogy, etc. ), how they deal with copyrights, their relationship with the advertising industry, how they financially sustain their work, the equipment they are working with, and the growing influence of their work on other industries and music video. Some of the interviewees are "wo/men of few words", others have compelling stories to share. Last chapter of the book deals with VJ's resources: the hardware, the software, the set-up. With tips from the VJs. I enjoyed the book a lot which came as a surprise as i'm fairly ignorant of VJing. The illustrations are amazing and the fact that the pages have been written mainly by practioners makes the reading absorbing (that's if you like the "insider view" style.) An expert in VJ culture might be more critical (and appreciate better than i did the chapter dedicated to the tools used by VJs) but i'd say that i'm a very satisfied customer. As you might expect, a 130 min' DVD is hiding under the cover. It combines documentaries, videos and images from live performances by some of the most respected VJs such as The Light Surgeons, Actop, D-Fuse, UVA, 8gg, Elliott Earls, Coldcut/Hexstatic, Visual Kitchen, etc. Pingmag recently interviewed Mike Faulkner. Related: 8gg Big, In the mood for clubbing, Colder, Big tanks, Video printing. In about three months time nighttime Sydney is expected to become sea of darkness. For an hour of no power. Also known by its organisers as Earth Hour. The aim is to get office blocks and householders to turn off their lights for a mere 60 minutes between 7.30 and 8.30 pm on 31 March 2007, with the intent of moving folk to reducing their greenhouse gas emissions by five percent. If they can manage this, it would be the equal of removing 75,000 medium-sized cars from the road. The commercial sector is being targeted because the campaign organisers, which include WWF, believe CO2 emissions attributable to lighting could be reduced by 80% just by turning off office lights and installing energy efficient lights. One calculation suggests that if all city office blocks installed motion sensor lighting the power saved could supply 13,000 homes for a year. City of Sydney’s Lord Mayor, Clover Moore, is of the view that, "Australia's commercial business sector is responsible for around 10 per cent of national greenhouse gas emissions,” so she wants businesses to get behind the campaign, while 22 year old Sarah Bishop, (pictured) will walk the thousand kilometres (1,200 miles) from Brisbane to Sydney to raise the same issues in smaller communities, in the two months preceding . ::Earth Hour, via the Sydney Morning Herald. Rail trails are based on disused railway lines being ripped up and their relatively level trackways being converted to recreational applications like walking or cycling. The idea really started to gather steam in the mid-eighties in the US, where these days the Rail Trail Conservancy supports about 13,600 miles (~21,900 km) of rail-trails. The concept of railway reuse has spread around world. In Western Australia, for example, old logging lines were converted to make sections of the almost 1,000 km (620 mile) Bibbulmun bushwalking track, which in turn inspired the Mudda Biddi bike trail. On the Australian east coast there is the Murray to Mountains Rail Trail, of which a recent study found that cyclists had brought $2.3 million AUD in eco-tourism to local economies, over a single holiday weekend. As the head of the bicycle advocacy group put it, “It probably cost $4 million to build the Murray to Mountains Rail Trail so they can say they’ve got half their money back in one weekend.” The 94 km (58 mile) trail is a bitumen sealed track utilising the gentle gradients of unused rural railways to bring tourists to a country area, the financial impact of which was described as the same as introducing another crop to the region. ::Murray to Mountains Rail Trail, via the Border Mail. Ante la acelerada destrucción ambiental que sufre el planeta, consecuencia de políticas económicas neoliberales que desdeñan la opción del desarrollo sostenible, imponen procesos de conservación de los recursos naturales dirigidos a asegurar (¡para sus financistas!) flora, fauna, recursos hídricos y minerales con los cuales sustentar el valor futuro de sus acciones en Wall Street. Financia decenas de proyectos en Costa Rica, canaliza sus poderosos recursos directamente o por medio de otros entes, trabaja de la mano de corporaciones que, como Intel, disimulan el impacto ambiental de sus actividades industriales, cuenta con aliados estratégicos en el Ministerio del Ambiente y Energía (Minae), la Asamblea Legislativa y otros organismos gubernamentales. Así es “Conservación Internacional” (CI), que desde su sede en Washington exporta muy eficientemente el interesado discurso “ambientalista” aprobado por el Departamento de Estado, las empresas transnacionales y el Banco Mundial, y que es reproducido (aunque no gratuitamente) por conservacionistas “consagrados” de la fauna costarricense. Ante la acelerada destrucción ambiental que sufre el planeta, consecuencia de políticas económicas neoliberales que desdeñan la opción del desarrollo sostenible, imponen procesos de conservación de los recursos naturales dirigidos a asegurar (¡para sus financistas!) flora, fauna, recursos hídricos y minerales con los cuales sustentar el valor futuro de sus acciones en Wall Street. Todo bajo el manto de una palabrería acuñada en las oficinas de los centros financieros y gubernamentales del gobierno de Estados Unidos, que incluso llega hasta el desprestigiado Pentágono. Aunque en Costa Rica el proceso iniciara hace unas dos décadas, no es sino hasta ahora (gracias a la torpe divulgación que hiciera un personaje importante de ese engranaje) que pudimos ver impresas las intenciones confesas de los que han venido dictando qué hacer con las áreas de conservación, que gracias a un esfuerzo monumental del Estado hoy resguardan el 25% del territorio del país. Creyéndonos dormidos, se estuvieron moviendo cual serpiente sigilosa y alerta, lista a disfrutar del bocado ansiado por los financistas. Así, el proyecto de ley con que se nos pretende arrancar el disfrute soberano de los más preciados recursos naturales, para servir en bandeja a una “Sociedad Anónima” los parques nacionales y otras áreas protegidas, además de su tinte entreguista, sirvió para desenmascarar a los promotores de la privatización de la mayor riqueza nacional. Rosemarie Jackowski, 69, appealed her conviction for disorderly conduct at an anti-war protest at the Four Corners to the VT Supreme Court in September 2005. GOVERNMENT AGENCY W/ TERABYTES OF UNINDEXED DATA, ISO DYNAMIC SEARCH ENGINE COMPANY TO HELP RECAPTURE MY YOUTH. ENJOY VISITING NEW PLACES, LONG WALKS, REMINISCING. PHOTOS A MUST. In a public/private partnership straight out of Neal Stephenson's 'Snowcrash', NASA is teaming up with Google to search, sort, and index the olympus of information NASA has collected in its first 48 years of existence. The program will start with every photo taken by NASA being added to Google Images. Real-time weather visualization and forecasting, high-resolution 3-D maps of the moon and Mars, real-time tracking of the International Space Station and the space shuttle will be explored in the future. The first pictures of the Earth from space (most notably "Earthrise", taken by the Apollo 8 astronauts) jumpstarted the environmental movement in the early 1970s. Who knows what will happen when people are able to access and use realtime surface, atmospheric, and oceanic data? siglas en inglés). Los HyPE habilitados nanológicamente podrían conducir a una era con dos niveles de humanos -el Homo sapiens y el Homo sapiens 2.0. Mercado: Ya a mediados de 2006, se encontraban en etapa de desarrollo preclínico, clínico o comercial 130 fármacos y sistemas de suministro, además de 125 dispositivos o reactivos de diagnóstico, todos ellos con base nanotecnológica. El mercado combinado de la medicina habilitada nanológicamente (suministro de fármacos, terapia y diagnóstico) brincará de un poco más de mil millones de dólares en 2005 a casi 10 mil millones en 2010. La Fundación Nacional de la Ciencia estadunidense (NSF, por sus siglas en inglés) predice que para el año 2015 la nanotecnología será responsable de la mitad de los productos de línea en la industria farmacéutica. La medicina nanológica ayudará a los grandes consorcios farmacéuticos a prolongar la vigencia de las patentes de monopolio exclusivo con que cubren compuestos existentes y otros fármacos, más viejos, menos complejos. Los analistas sugieren que la medicina habilitada nanotecnológicamente aumentará el margen de lucro y desalentará la competencia. Impacto: La medicina nanológica puede tener su mayor impacto en el ámbito del "mejoramiento del desempeño humano" (conocido como HyPE). En combinación con otras nuevas tecnologías, la medicina nanológica -en teoría- hará posible alterar la estructura, la función y las capacidades de los cuerpos y los cerebros humanos. En el futuro cercano, las tecnologías HyPE, habilitadas nanológicamente, borrarán las distinciones entre "terapia" y "refinamiento, realce, mejoramiento" y podrían cambiar, muy literalmente, la definición de lo que significa estar sanos o ser humanos. El cotejo de la realidad: Lo irónico es que permanecen abiertas algunas cuestiones cruciales acerca de los impactos ambientales y de salud de los materiales nanoscópicos que se utilizan para desarrollar medicamentos nanológicos. El naciente campo de la "nanotoxicología" está teñido de incertidumbre. Pese a que ya se comercializan algunos productos nanoescalares (incluidos medicamentos nanológicos), ningún gobierno en el mundo ha desarrollado regulaciones que respondan a los aspectos básicos de una seguridad nanoescalar. Políticas: ¿Realmente pueden los donantes de la Organización de Cooperación para el Desarrollo Económico (OCDE) -que no pudieron proporcionar los mosquiteros necesarios a los países asolados por la malaria, o que entregaron un solo condón por adulto al año para combatir el VIH/SIDA en el Sur global-, alegar que las grandes inversiones en los nuevos nano remedios rendirán frutos en los países pobres? A los gobiernos del mundo les urge una amplia evaluación participativa de los riesgos sociales y científicos, éticos, culturales, socioeconómicos y ambientales de la medicina nanológica. Mantener el paso del cambio tecnológico requiere un marco de trabajo intergubernamental que inspeccione y valore la introducción de nuevas tecnologías. En su próxima reunión de 2007, la Asamblea Mundial de la Salud deberá emprender un análisis exhaustivo de la nanomedicina que contemple un contexto de salud social más amplio. Film critics appear split on how to handle Mel Gibson's newest production, Apocalypto. A few refuse to patronize the film in symbolic protest of Gibson's drunken rants over the summer. Others suggest we should temporarily suspend judgment about Gibson's anti-Semitism and judge this action film on its own merits. Remarkably, none of the critics seem to be asking whether Mel Gibson has produced a film any less racist than his summer tirades about Jews. Hollywood seems willing to admonish Gibson for certain kinds of bigotry, while oddly excusing other kinds of racism - especially if targeted at poor, brown, and indigenous peoples. As a cultural anthropologist who has worked for thirteen years among different Maya peoples of Mesoamerica and who speaks the Q'eqchi' Maya language fluently, I found Apocalypto to be deeply racist. The Maya in the film bore no resemblance to the hardworking farmers, teachers, lawyers, doctors, businessmen and women of Maya descent that I know personally and consider among my closest friends. I fear the repercussions Apocalypto will have on contemporary Maya people who continue to struggle for survival and political governments under discriminatory governments that consider them stupid, backward, and uncivilized for wanting to maintain their customs and language. Gibson's slanderous film reinforces the same stereotypes that have facilitated the genocide of Maya peoples and the plunder of their lands starting with the Spanish invasion of 1492 and continuing through the Guatemalan civil war to the present. 1. Native Americans are all interchangeable. Many critics have offered facile praise to Gibson for having filmed his bloody epic in a contemporary Maya language and employed various Native American actors. Gibson has boasted to the press how relatively cheap it was to make the film because he had pay so little to these actors and his Mexican crew. To me, these actors didn't look or sound Maya at all. Their Yucatec diction was terrible and lacked the real lyric cadence of Maya languages. If someone exploited local labor to make a cheap film about gang-violence in Brooklyn and employed heavily-accented Australian and British actors, would critics still praise it as "authentic" simply because the actors are speaking English? 2. Mesoamerican cultures are all the same. While keeping some of the archaeological details accurate for "authenticity," Gibson then jumbles together mass Aztec sacrifices with Maya rituals, as if they were the same. Certainly at the height of classic Maya civilization, the ruling classes made occasional human sacrifices to their gods, but nothing on the Holocaust-level scale that Gibson portrays in Apocalypto with fields of rotting, decapitated corpses that his hero, Jaguar Paw stumbles across as he attempts to escape his own execution in the city. With the advice of archaeologist Richard Hansen, Gibson seems to have researched anything the Maya might have done badly over a thousand year history and crammed it all into a few horrific days. How would the gringos look if we made a film that lumped together within one week the torture at the Abu Ghraib and Guatanamo prisons, the Tuskegee experiments, KKK lynchings, the battle at Wounded Knee, Japanese internment camps, the Trail of Tears, the Salem witch hunts, Texas death row executions, the Rodney King police beatings, the slaughter upon the Gettysburg battlefield, and the nuclear bombs dropped on Hiroshima and Nagasaki - and made this look like a definitive statement on U.S. culture? 3. Indigenous people should remain noble savages, since attempts to build cities and more complex political organization will bring their inevitable demise. Gibson purportedly wanted to make a statement about the decay of empires in this film. However, the only clear message I could take away was that indigenous people should have remained friendly forest hunter-gatherers and never have attempted to build their own civilization. Ignoring the fact by the time of the Spanish invasion, all Maya peoples had been either urbanized or sedentary agriculturalists for hundreds of years and maintained complex trade networks, Gibson nevertheless depicts his hero's tribe as crude but happy rainforest peoples living in isolation, blissfully ignorant of the corrupt cities neighboring them. He contrasts these noble forest savages with evil city dwellers such as slave traders, despotic politicians, psychotic priests, and sadistic head-hunters all living amidst rotting sewage, filth, disease, and general misery. Real Maya cities were places with sophisticated water and sanitation systems, great libraries, and extraordinary artwork and architecture. If Gibson wanted to make a statement about the consequences of environmental destruction, as he has claimed to the press, why not produce a film about corporate excesses at Love Canal or Three Mile Island instead of mucking up the historical reputation of the ancient Maya? 4. The Spanish arrive as if to save the Maya from themselves. After enduring two hours of horrific violence, in the last minutes of the film, we witness the miraculous rescue of the film's hero Jaguar Paw from his stalkers by the appearance of Spanish galleons off the coast. This short, final scene shows dour Spaniards approaching the mainland in boats bearing Christian crosses across still water. After forcing his audience to endure two hours of horrific violence, Gibson uses this placid scene allow the movie-goer a sigh of relief in the hopes that these European Civilizers have arrived to make order out of the Maya mayhem. By ending his film there, Gibson ignores the far greater genocide to befall the Maya. In fact, within a hundred years of conquest, the Spanish were responsible for killing between 90 and 95 percent of the Maya population through disease, warfare, starvation, and enslavement. To stereotype and slander ancient Maya civilization and to imply that the impending holocaust of Maya peoples by the Spanish is a "new beginning" shows how truly racist Gibson really is-whether drunk or sober. Liza Grandia is a cultural anthropologist who has worked with Maya peoples in Guatemala and Belize since 1993 and who speaks Q'eqchi' Maya fluently. She is currently a postdoctoral fellow at Yale University, writing a book called "Unsettling" about the repeated land dispossessions and enclosures of the Q'eqchi'. In a recent blog on ID Trail, Angela Long wrote about privacy issues around a planned town in South Korea called New Songdo that is to be operational in 2014. This will be the world’s first ubiquitous city or "U-City," in which all major information systems (residential, medical, business, etc.) share data; computers are built into the houses, streets and office buildings; and the technology and facilities infrastructures are integrated. Reading the article one sees the cultural construction of privacy. In North America, privacy is often a big issue, but the need for privacy is not as strong in other cultures. New Songdo will have no problem filling up with inhabitants. Having read the webpage, I can see why it is enticing for people to move there. And with new technologies on the horizon, the vision behind New Songdo will become even more attractive to others. These capabilities could be implemented quickly in other places, without having to build cities from scratch. There are new privacy issues, however, that should raise concern. Kris Pister anticipates many applications of a new technology called “smart dust” by 2010, many of which one might see in New Songdo. Smart Dust was first conceptualized by Kris Pister and Randy H. Katz as an autonomous sensing and communication system working within the confines of a cubic millimeter. Potential applications envisioned by Kris Pister included defense-related sensor networks such as battlefield surveillance, treaty monitoring, transportation monitoring, and scud hunting. Pister also envisaged a virtual keyboard -- "a smart-dust mote stuck to each fingernail," he says, "that could allow finger movements in air to be transmitted to a computer. With this technology, computers could get even smaller, and air guitar would no longer be just a fantasy of rock-star wannabes. If the computer knows where your fingers are: sculpt 3D shapes in virtual clay, play the piano, gesture in sign language and have to computer translate. Combined with a MEMS augmented-reality heads-up display, your entire computer I/O would be invisible to the people around you. Couple that with wireless access and you need never be bored in a meeting again! Surf the web while the boss rambles on and on." Other possible applications include inventory control, product quality monitoring, smart office spaces, smart body suits (temperature, humidity, and environmental comfort sensors sewn into our clothes), and interfaces for the disabled. Some of the ideas by Wolbring and Golledge could become a reality with sensor networks. Dana Whicker, presenting to IEEE Women In Engineering of Southern New Jersey, identified applications in structure maintenance, area surveys and surveillance, precision farming, pest control, security and safety, people tracking, the military, environmental protection, energy conservation, and medicine. She sees the possibility of nanoscale motes that will transform the computer environment from one to many through miniaturization. Smart Dust is applied commercially by Dust Networks, Inc., whose webpage reads "The information you need is all around you. The challenge is to collect and manage it at a reasonable cost. If your OEM application is industrial automation, building automation or defense, then Dust Networks delivers the ideal wireless sensor network featuring >99.9% data reliability, low-power consumption and the ability to collect data from almost anywhere in the physical world." They sell it as a solution for border patrol, perimeter security and battlefield awareness. Wireless micro and nanosensors are an area of intense research. Honeywell International says it is looking at motes for climate control applications. San Jose, California-based Digital Sun says it is receiving orders for wireless sensors that monitor irrigation. Intel, Crossbow Technologies, Dust Networks, Ember, Millennial Net, Moteiv Corporation, MicroStrain and Philips are also working in this field. IEEE's 802.15.4 wireless personal area network (WPAN) protocol is an existing standard, also known as ZigBee. "By integrating all the hardware and software functions for creating distributed sensor networks onto a single chip -- called its mote-on-chip -- Dust Networks claims five-fold lower power consumption than Zigbee, the elimination of the need for wired routers, and a 10-fold reduction in the overall price of adding new sensors to an existing network." According to a Freedonia report, the "US demand for sensors will grow 7.8 percent annually through 2008, driven by sales of more advanced types used in motor vehicles, consumer electronics and information technology. Products such as proximity and positioning sensors, complementary metal-oxide silicon (CMOS) imaging sensors, and MEMS-based speed sensors will lead gains." The Freedonia study "analyzes the $9.5 billion US sensors industry and forecasts to 2008 and 2013 by sensor type (e.g., pressure, temperature, flow and level, speed, motion, proximity and positioning, electrical properties, chemicals properties, imaging); and by market (e.g., motor vehicles, industrial, military/aerospace, consumer/household, electronic security, medical, information technology). The study also examines the market environment, details industry structure and market share, and profiles 39 industry competitors including Honeywell, Delphi, Emerson Electric, Motorola, Rockwell Automation, Eaton, Robert Bosch, and Siemens." On World expects that 126 million sensors could be deployed worldwide by 2010. Industry revenue could total $8 billion in 2010, up from $300 million this year. On World has a variety of reports on the issue. Smart dust and wireless networks are of course linked to RFID chips research in which many countries such as Canada and South Korea are investing heavily. Research from analyst house Frost and Sullivan found that revenue from RFID in healthcare and pharmaceuticals will rise almost sixfold, from 2004's total of $370 million to $2.3 billion in 2011. Besides RFID chips and smart dust and wireless sensor networks, there is the utility fog aka: polymorphic smart materials, which is smart dust plus movable parts. There are social concerns with the whole area. Michael Mehta, a sociologist at the University of Saskatchewan (Canada), explored in his paper how the development of nano-scale devices for surveillance, tracking and monitoring may create a society that functions as a 'panopticon' with an institutionalized and physical form of surveillance. According to Mehta, "Nanotechnology is stimulating significant advances in surveillance and monitoring technology. By facilitating the miniaturization of remote camera technology, the panoptic effects from surveillance become magnified. It will soon become possible to place undetectable video cameras, microphones and transmitters anywhere one wishes. For example, researchers from Hiroshima University and Nippon Hoso Kyokai (NHK) have discovered that silicon nano-crystal film is photoconductive. Once greater control over the size of crystal grains is achieved, it should be possible to use such films in charge-coupled devices for making highly sensitive, compact video cameras." Mehta makes the interesting point that "as a precondition of trust, privacy is an essential ingredient in a society where 'social capital' is required for stimulating innovation" and that "the wide-scale use of surveillance equipment may create a society with lower levels of trust, less social capital and depressed civic engagement. In short, these uses of nanotechnology could depress innovation." Mehta is not alone in his concerns. ETC Group quotes the UK Royal Society report on Nanoscience and Nanotechnologies: Opportunities and Uncertainties, which also highlighted privacy concerns raised by nanosensors: " …[Sensor] devices might be used in ways that limit individual or group privacy by covert surveillance, by collecting and distributing personal information (such as health or genetic profiles) without adequate consent, and by concentrating information in the hands of those with the resources to develop and control such networks." In the RFID journal online one finds the following news item: "May 2, 2006 -- Wisconsin's legislative branch cleared a bill late last week that would ban anyone from implanting RFID microchips into people without their consent. The legislation prohibits anyone, including employers or government agencies, from requiring people to have microchips implanted in them. Violators would face fines of up to $10,000." There are many who see privacy issues with RFID chips. There are others who do not see problems with the chips, but see smart dust as alarming. On the technoprobe blog one reads, "Will smart dust pose privacy problems? The sensors it can carry mean that it is not capable only of reporting, like an RFID, what product you bought or own. It can take pictures, record sound, sniff for drugs, and more. It can be scattered in a student's dorm room or clothing. It can be embedded in paint. It is actually much more alarming than RFID tags!" There are growing challenges to privacy. It will be interesting to see how trends in cultures that place less value on privacy will impact North America -- and vice versa. Or how the 'threat of terrorism' will move North America to greater acceptance of surveillance. How much privacy is needed? What kind of privacy is needed? The choice is yours. Gregor Wolbring is a biochemist, bioethicist, science and technology ethicist, disability/vari-ability studies scholar, and health policy and science and technology studies researcher at the University of Calgary. He is a member of the Center for Nanotechnology and Society at Arizona State University; Member CAC/ISO - Canadian Advisory Committees for the International Organization for Standardization section TC229 Nanotechnologies; Member of the editorial team for the Nanotechnology for Development portal of the Development Gateway Foundation; Chair of the Bioethics Taskforce of Disabled People's International; and Member of the Executive of the Canadian Commission for UNESCO. He publishes the Bioethics, Culture and Disability website, moderates a weblog for the International Network for Social Research on Diasbility, and authors a weblog on NBICS and its social implications. The Tactical Technology Collective is a European based non-profit that aims to advance the use of new technologies as a tool for civil society. One of the core projects of Tactical Tech is NGO-in-a-box, a series of Free and Open Source Software toolkits covering areas such as Audio and Video, Security, Mobile devices and now, Open Publishing. The editions are distributed quite literally as a box-set of three CDs. The first disc is the compilation put together by the edition editorial team, the second is the GNU/Linux distribution Ubuntu and the third is the OpenCD, a collection of basic FOSS programmes for Windows. One of the project’s core aims is to overcome the problems of bandwidth in many developing countries by providing physical access to the software. Additionally the kits aim to provide an edited selection of tools to minimise the often confusing and labourious process of finding open source software that really works and is user friendly. NGO-in-a-box also helps solve the problem of distribution and access. By utilising FOSS the toolkits may be freely copied and shared without worry. For non-profits with often-limited budgets this is a great advantage, and also allows those teaching the tools to give out copies as part of a workshop. An introduction to the series. An interview with Greasecar founder Justin Carven. Not quite, but cellulosic ethanol may be coming sooner than you think. Richard Branson chats about embracing ethanol and slashing airplane emissions. "Imagínese un mundo sin privacidad. Un mundo en el que todas y cada una de sus compras se supervisa y registra en una base de datos y cada una de sus pertenencias está numerada. Dónde una persona, a varios estados de distancia, o tal vez en otro país, tiene un registro de todo lo que usted ha comprado, de todo lo que posee, de las prendas de vestir en su armario, de cada par de zapatos" (Katherine Albrecht y Liz McIntyre en Chips espías, Grupo Nelson, 2006). Es el mundo RFID (identificación por radiofrecuencia, por sus siglas en inglés). Probablemente usted no haya oído hablar de tal cosa, pero es como una plaga que se extiende por todas las industrias que tienen relación con la vida cotidiana de cualquiera de nosotros. Se trata de pequeños chips electrónicos cuya información se lee a distancia, y sustituyen, entre otras cosas, a los códigos de barras para leer precios. Están en libros, máquinas de afeitar, zapatos, prendas de ropa, medicamentos, comida empacada, por nombrar objetos de uso doméstico. En su trabajo puede haber muchos más objetos que tienen etiquetas RFID, como computadoras, impresoras, cajas de papel y otros artículos de oficina. Existen tarjetas de crédito y de compra que usan este sistema. La mayor diferencia de estos chips con el código de barras es que la información se puede detectar a distancia, desde pocos metros hasta kilómetros (dependiendo del tipo de chip), y se puede leer a través de su ropa, de su billetera, cartera, mochila o maletín. Si la compra del objeto etiquetado se hace con tarjeta, la etiqueta se "personaliza" y queda identificada con el comprador. La generalización de este sistema provocará un aumento de la exposición a radiofrecuencias, con impactos sobre la salud. Existen también versiones del sistema RFID para implantes en humanos, como VeriChip. México fue el primer país donde se usó: en 2004 se le colocó un chip diminuto (menor que un grano de arroz) a 18 agentes de la Procuraduría General República (PGR), supuestamente para identificarlos cuando tienen contacto con documentos confidenciales. El presidente de Colombia, Alvaro Uribe, declaró que se le podrían implantar estos chips a los ciudadanos colombianos que quisieran ir a trabajar a Estados Unidos, para que el gobierno de ese país pudiera controlar dónde se encuentran. Se han denunciado fallas graves en la seguridad que pretenden tener estos chips ya se han clonado incluso chips implantados en humanos, permitiendo a extraños el acceso a la información . Se comprobó que la información de las tarjetas de crédito que usan este sistema se pueden robar más fácilmente que las de banda magnética. Esto no impide que la adopción de esta tecnología avance a pasos agigantados, porque están en juego intereses muy fuertes, tanto comerciales como gubernamentales. Las etiquetas RFID no son nuevas existen desde hace años pero su uso era limitado por su precio y tamaño. Con la miniaturización y la baja de precio, empresas trasnacionales como Benetton y Gillette-Procter & Gamble comenzaron a utilizarlos, incluso directamente en el producto que llega al consumidor. Pero el punto de quiebre de esta industria vino cuando Wal-Mart exigió a sus 100 proveedores más grandes que para enero de 2005 debían implementar esta tecnología a nivel de entregas a depósito (en tarimas o cajas), o ya no les compraría sus productos. Varios otros grandes supermercados como Tesco y Kroger, también la usan. Para las grandes empresas significa una automatización de los sistemas de compras, distribución y ventas que elimina gran parte de los trabajadores que antes controlaban estos procesos, al tiempo que les permite hacer seguimiento de los consumidores, sus preferencias, zonas donde se encuentran, etcétera, aumentando sus posibilidades de manipulación del consumo. Actualmente la tecnología se está expandiendo y el objetivo de las empresas es llegar a colocarlo en cada producto que lleva el consumidor, tal como hizo Gillette con las máquinas de afeitar Mach3. En México, la distribuidora de farmacéuticos Maypo, segunda abastecedora de medicamentos para el sector salud, está colocando chips RFID en cada medicamento que vende para el Seguro Popular y otros programas de salud pública. Además de sus aplicaciones comerciales, son significativas las aplicaciones de RFID en vigilancia con fines políticos, policiacos, incluso represivos y carcelarios. La proliferación de los sistemas de identificación RFID (actualmente se discute o instrumenta su aplicación en pasaportes, billetes, tarjetas de identificación, transportes, inmigrantes, detenidos, policías, vigilantes, etcétera) conllevará un aumento de las distancias a las que se pueden leer y de la cantidad de "estaciones" para su lectura. Una de las aplicaciones que se venden en México inserta un chip entre la suela y el taco de los zapatos en el proceso de fabricación, haciendo imposible ver el chip a simple vista, pero permitiendo que quien pueda leer esta información conozca el paradero de su dueño en cualquier lugar en que se encuentre. Este tipo de seguimiento ya es posible hacerlo a través de los teléfonos celulares, que de hecho funcionan como GPS (sistema de posicionamiento geográfico satelital). Como con los RFID, la mayoría de los usuarios no lo sabe. Al igual que con otras nuevas tecnologías, su aceptación depende de que la mayoría de la gente no sepa realmente lo que implican. Y esto, pese a tanta vigilancia, cada vez es más difícil. U.S., CHINA COMMIT TO COAL...AND TO CLIMATE CHANGE? Washington, D.C.-As countries around the world wrestle with the challenges of global warming, more than 150 new coal-fired power plants are planned or being built in the United States, and some 550 such plants are under construction in coal-rich China. According to Susan Moran in "Coal Rush" and Hou Yanli and Hu Min in "China and Her Coal," lead contributors to the January/February 2007 issue of World Watch magazine, the world's two worst climate offenders are on a reckless crash course to increase reliance on coal. In 2004, releases from coal-burning power plants accounted for 32 percent of total U.S. carbon dioxide (CO2) emissions, while in China, 70 percent of CO2 emissions could be traced to coal. The International Energy Agency forecasts that China's rapidly expanding use of coal will lead it to surpass the United States as the largest emitter of CO2 by 2009. In response to growing consumer electricity demand and buttressed by government subsidies, large U.S. utility companies like TXU Energy, American Electric Power, and Xcel Energy are expanding construction of coal-fired power plants. Between 1950 and 1997, the coal industry received more than US$70 billion in federal subsidies, or nearly $1.5 billion a year. In 2005, Congress approved an additional $7.8 billion for coal, including several billion for a "clean coal" research and development program. As China struggles to meet ravenous and growing energy demand, suppliers are turning increasingly to the nation's vast coal reserves, which exceed 1 trillion tons, about 12 percent of the world total. Yet China's widespread and growing use of coal-fired power plants will likely lead to irreversible environmental damage and cost the country billions of dollars in pollution-related harm. Seventy percent of the 20 million tons of particulate matter and other smog-forming pollutants the nation emitted in 2005 were from coal. The unhealthy levels of air pollution in one-third of all monitored Chinese cities contributed to $63 billion in economic losses in 2004, or roughly 3 percent of GDP. Janet Sawin, Worldwatch Institute Senior Researcher and Director of the Institute's Energy and Climate Change Program, notes that in the U.S., public pressure could hinder the reemergence of coal. In what could be a precedent-setting case, public hearings are being held this week in Minnesota to determine whether state regulators will allow utilities to build new coal plants despite the financial risks arising from increased global warming pollution. Similarly, some TXU shareholders have publicly questioned whether continuing to build coal-fired plants is a wise path to pursue because of the risk of future legislation limiting greenhouse gas emissions. In China, while increasing energy demands are prompting the construction of more coal-fired plants, the national government has set targets to meet 16 percent of all energy from renewables by 2020-an important step towards slowing the increase of China's future emissions. "It is critical to scale up public pressure and to enact policies that put a price on carbon emissions and create markets for renewable energy if the world is to resist turning to coal to meet its energy needs," says Sawin.